007 Travelers visited Oy Osk. Lindroos Ab in Helsinki, Finland on 12th of September 2014. Antti Keisu showed us their James Bond related Omega watches. Seen in "Casino Royale" (2006) and "Quantum of Solace" (2008). 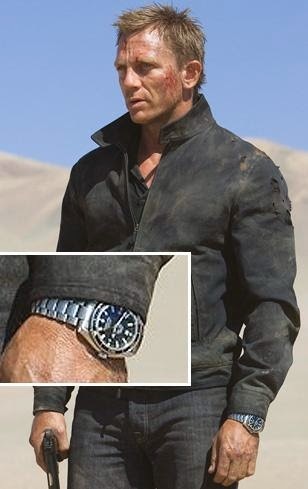 Omega Seamaster watches have appeared in Bond movies since the days of "GoldenEye" (1995). 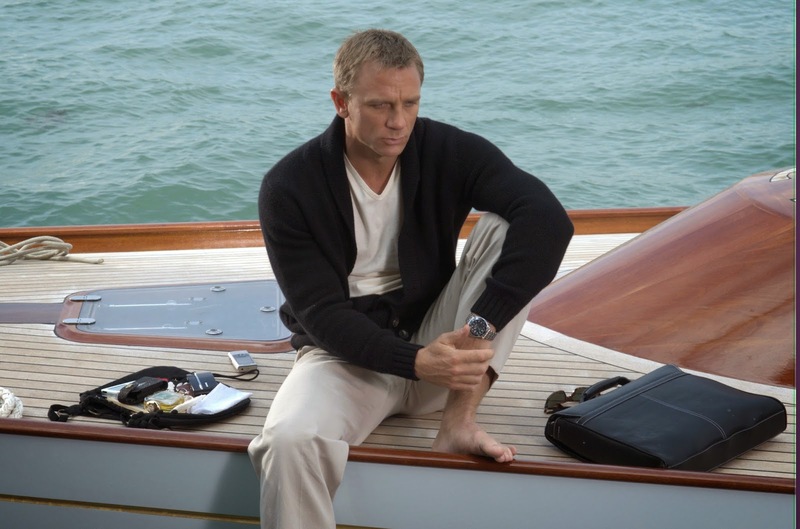 In "Casino Royale" (2006) Bond wears Planet Ocean Big Size and in "Quantum of Solace" (2008) Planet Ocean 600m Co-Axial Chronometer. 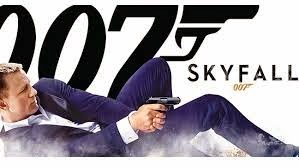 Both black and blue dialed watches have been seen in 007 movies. DateDateThe day of the month, displayed in a window on a watch dial typically at the 3 o'clock or 6 o'clock position. ChronometerChronometerLabel given to a watch which has undergone precision tests and received a certificate from an official body (COSC). Screw-in crownScrew-in crownSelf-locking crown, screwed into the tube of the case, used for highly water resistant divers' watches. Unidirectional rotating bezelUnidirectional rotating bezelA bezel which turns in only one direction. Particularly useful for divers who cannot accidentally rotate it in the wrong direction, which could cause them to miscalculate their dive times. A rotating bezel makes it easy to measure elapsed time. 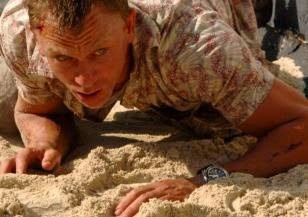 Daniel Craig wears Omega Seamaster Professional Diver in "Casino Royale" (2006). In Pierce Brosnan's Bond movies, there were always some gadgets in watches created by Q, but there wasn't any in Daniel Craig's watch in his first Bond movie. 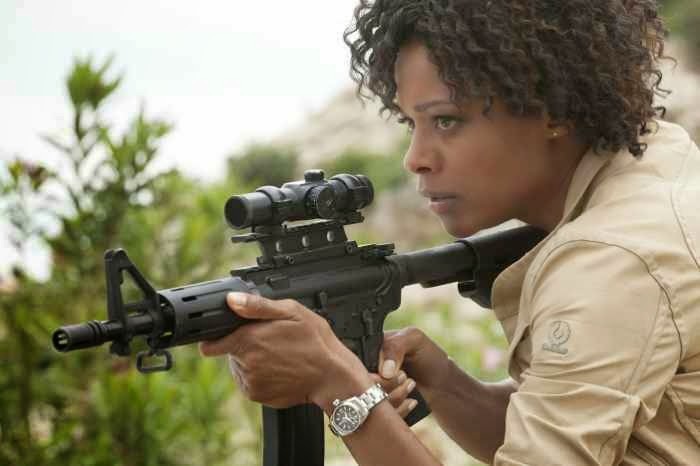 Seen in "Skyfall" (2012), Moneypenny / Eve wears similar but with black dial. After the presentation we asked Antti Keisu about James Bond and traveling and of course about Omega's 007 watches. 1. What is your most popular Omega Bond watch? It is Omega Seamaster Professional Co-Axial (Diver 300M). 2. Who are buing these watches? Every time after a new Bond movie, interest and demand for these watches are very high and buyers are mostly Finnish men. 3. Your favourite Bond actor (leading male role)? Bond-leffoissahan on alunperin käyttänyt Rolexin Submarineria (60-/70-luku) ja esim Live and Let Die sisältää aika paljonkin Rolexista lähikuvaa.